Northern catalpa – It’s Coming! Northern catalpa (Catalpa speciosa) is occasionally seen in suburban front yards but rarely seen in natural areas in Minnesota. That may soon change. Prior to European settlement the range of northern catalpa had contracted to a small area around the confluence of the Mississippi and Ohio Rivers. In the 1930s and 1940s it was widely planted as a windbreak and cultivated for fence posts in Ohio. It is still sold and planted as a shade tree and ornamental because of its large leaves and showy flowers. It has now become naturalized from Kansas to Virginia north to southern Michigan and southern Wisconsin. Its range continues to spread and now includes almost all states east of the Rocky Mountains. In Minnesota it is not fully established but is locally naturalized. It is hardy up to zone 4, which includes the southern half of the state. Northern catalpa is a medium-sized, moderately fast-growing, moderately short-lived, deciduous tree. It has very large heart-shaped leaves arranged in whorls of three. From May to June it produces large, showy clusters of white flowers. The flowers are fragrant but inhaling their aroma may be poisonous to some individuals. The flowers are replaced in late summer by long, thin, pencil-shaped seedpods. In autumn the leaves turn pale yellowish-green and fall before turning yellowish-brown. 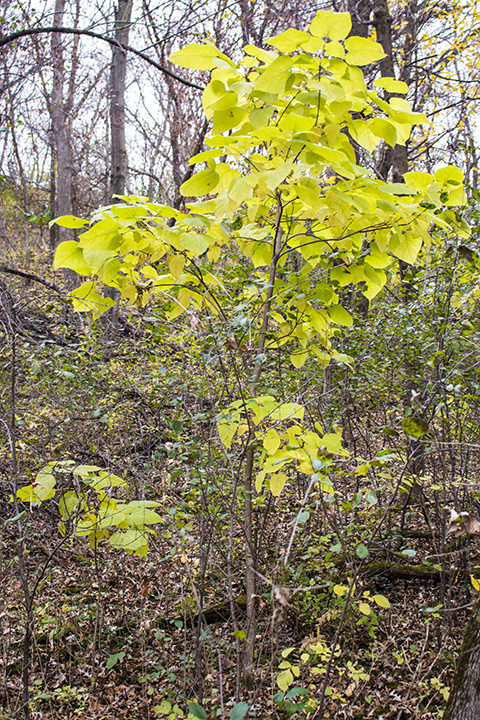 Chinese catalpa (Catalpa ovata) is also found in Minnesota. Northern catalpa is distinguished by unlobed leaves that are densely short-hairy on the underside, larger flowers, and relatively thick-walled seedpods. 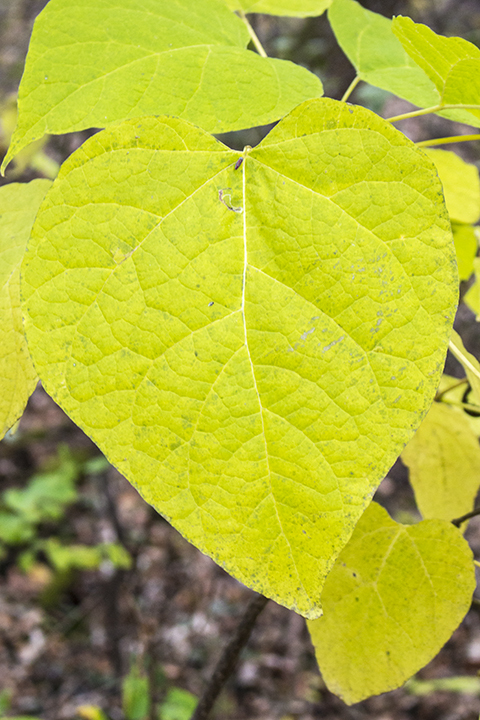 This entry was posted in Plants and tagged Catalpa speciosa, northern catalpa on October 30, 2015 by John Valo. Western conifer seed bug (Leptoglossus occidentalis) is a common and widespread true bug. The “western” in the common name is misleading. This insect is found from coast to coast in North America, and has been introduced and is spreading in Europe. It can be seen in spring and summer on pine, hemlock, spruce, and fir trees, but is most often encountered in the fall, when it seeks shelter for the winter in human dwellings. 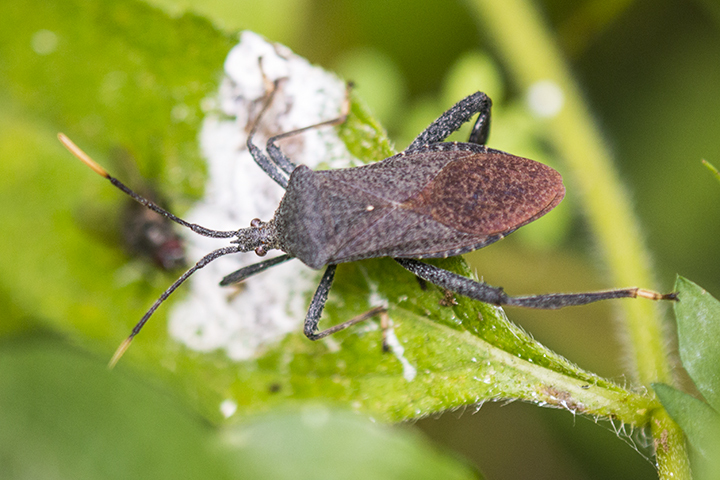 Like stink bugs it squirts a foul-smelling chemical from the side of its body when handled. Western conifer seed bug is distinguished by exposed, striped sides of the abdomen; and fourth leg segments that are lance-shaped, unscalloped, equal in length, less than 70% of the length of the tibia, and the outer dilation is slightly wider than the inner. This entry was posted in Insects and tagged Leptoglossus occidentalis, western conifer seed bug on October 29, 2015 by John Valo. There are about 6,000 species in 200 genera of hoverflies. They are often seen hovering at flowers, hence their common name. Few of them merit a unique common name. Our species, Helophilus fasciatus, though fairly common, is not one of these, so we will call it “hoverfly” followed by its scientific name. This hoverfly is robust and medium-sized, ⅜″ to ⅝″ long. It can be seen from late March to early October. Like many hoverflies, it is somewhat bee-like in appearance. The genus Helophilus is identified by the striped thorax, on the wing the marginal cell open and the pterostigma lacking a cross vein, and the absence of a spur on the femur of the hind leg. Our species is distinguished by relatively narrow abdominal stripes, the narrowed area at the top of the head of the male, the all black hairs at the top of the face of the female, the space between the eyes narrower than the width of the pair of swellings at the base of the antennae, and the amount of black markings on the legs. 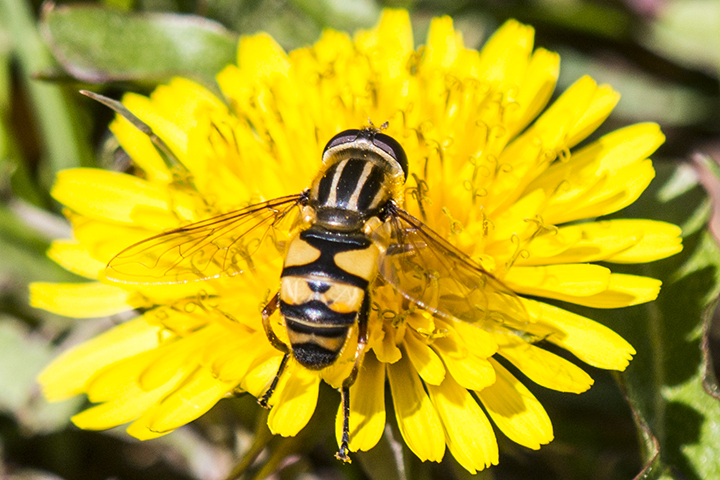 This entry was posted in Insects and tagged Helophilus fasciatus, hoverfly on October 27, 2015 by John Valo. 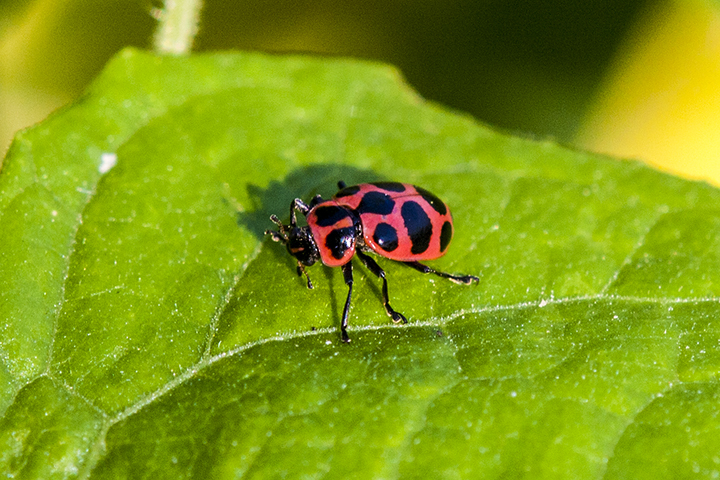 Spotted lady beetle (Coleomegilla maculata) is an elongated, pink, ladybird beetle. It is very common and widespread, probably the most common native lady beetle in eastern North America. It can be found from early spring to fall anywhere their prey are found. Almost 50% of its diet is flower pollen but it also eats aphids, adelgids, mites, insect eggs, and small insect larvae. In the fall adults congregate in large numbers to overwinter in a protected area beneath leaf litter and stones, often near crop borders. This species is identified by the elongated body; pink background color; 12 black spots, 2 on the pronotum and 10 on the elytra; and head and femurs visible from above. There are three subspecies of spotted lady beetle. Coleomegilla maculata lengi is the most widespread and the only subspecies found in Minnesota. This entry was posted in Insects and tagged Coleomegilla maculata, Spotted lady beetle on October 26, 2015 by John Valo. Leaf-footed bug (Acanthocephala terminalis) is a widespread and frequently encountered true bug. It is a relatively large bug (order Hemiptera) but a small leaf-footed bug (genus Acanthocephala), the smallest in North America north of Mexico. It is found from early June to late September in open woods, woodland borders and paths, thickets, and roadsides. Its long, specialized mouth is optimized for sucking juices from plant stems and leaf stalks. 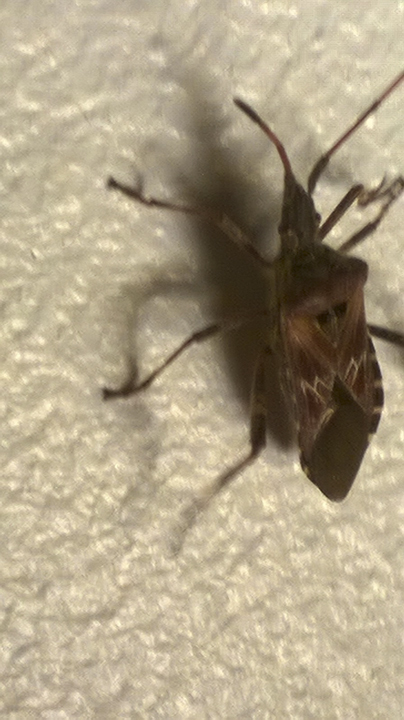 Like stink bugs it squirts a foul-smelling chemical from the side of its body when handled. The nymphs feed on common ninebark, staghorn sumac, and wild grape. Adults have a more varied diet, possibly including bird droppings. Leaf-footed bug is distinguished by yellowish-orange antennae tips, femurs, and foot segments; femurs that are parallel-sided or only slightly tapered toward the end; and fourth leg segments that are greatly dilated in the basal half, gradually tapered beyond the middle toward the end, and not at all dilated in the final third. This entry was posted in Insects and tagged Acanthocephala terminalis, leaf-footed bug on October 25, 2015 by John Valo. Pear-shaped Puffball (Lycoperdon pyriforme) is a small, common and widespread, pear-shaped puffball. While not the best known puffball, it is the most common one in northeast and Midwest North America. Unlike most puffballs, it grows on rotting wood. 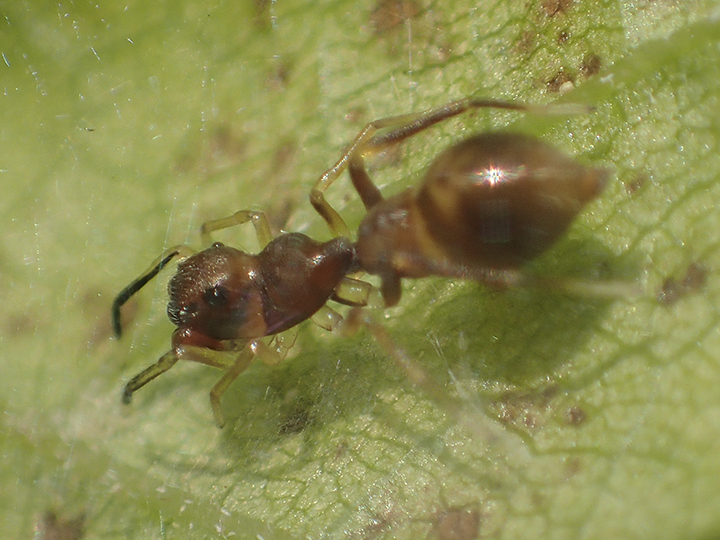 It is usually found in dense clusters on rotting logs or stumps. 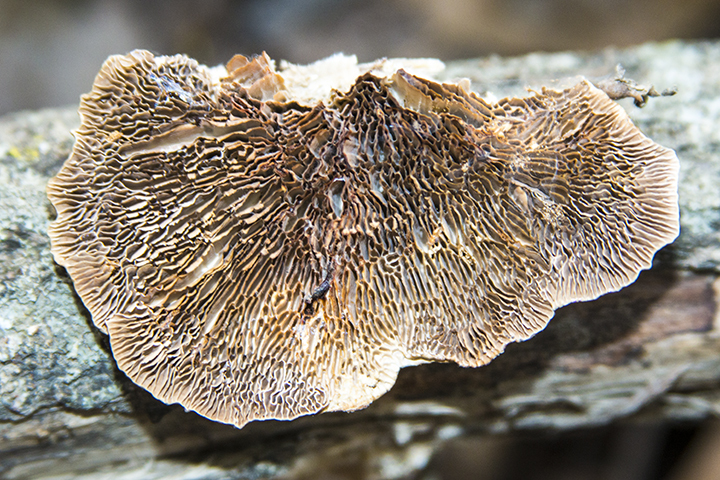 The clusters have been described as sometimes “as large as a loaf of bread.” The fruiting body is pear-shaped, up to 2″ tall, and sometimes almost as wide. It is edible when young and firm inside but relatively tasteless, becoming bitter with age. Pear-shaped Puffball is distinguished from similar puffballs by its well-developed base; small size; habit of growing on rotting wood, not on the ground; conspicuous white threads at the base; and microscopic features of the spores. 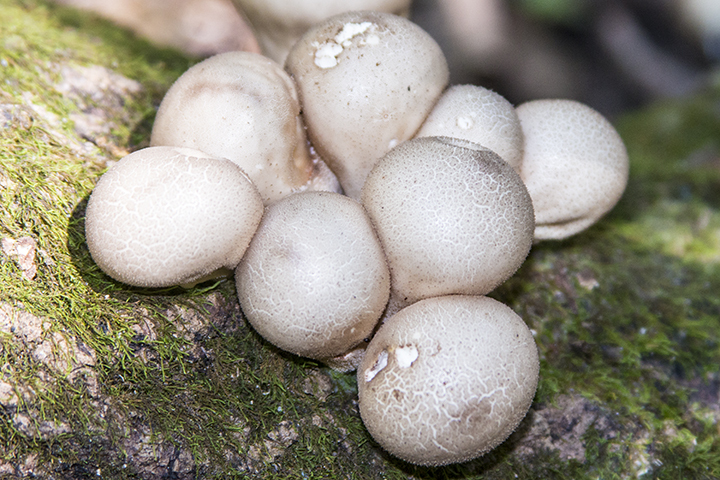 This entry was posted in Fungi and tagged Lycoperdon pyriforme, Pear-shaped Puffball on October 24, 2015 by John Valo. 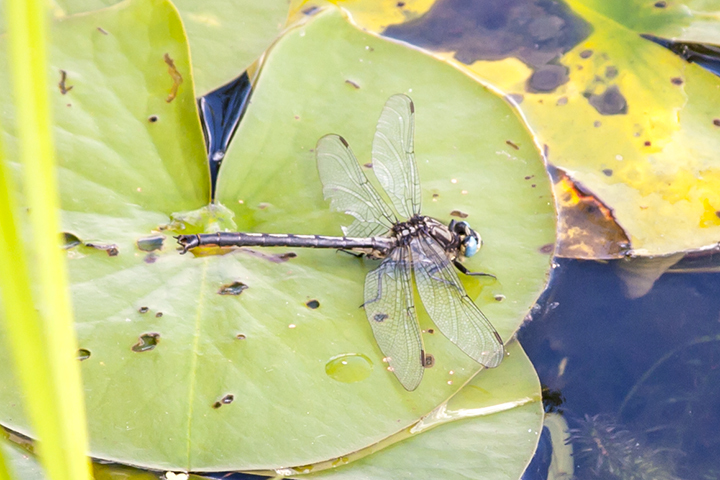 This entry was posted in Insects and tagged Arigomphus furcifer, lilypad clubtail on October 23, 2015 by John Valo. Rare in Minnesota, Amur corktree (Phellodendron amurense) is an east Asian tree that was introduced into North America around 1856 and was planted as an ornamental. By 1933 it had become naturalized in the forests of New York. It is now considered a pest tree in New England. When allowed to become established it can create dense stands consisting of a large number of small trees that crowd out native species. It produces massive amounts of berry-like fruits which remain on the tree into early winter. Seeds are spread by American Robins and other birds. It is reported to be invasive in scattered locations in Illinois, Maryland, Massachusetts, New York, Pennsylvania, and Virginia. It is a prohibited species in Massachusetts. It is not listed in Minnesota, probably because of its rarity in the state. 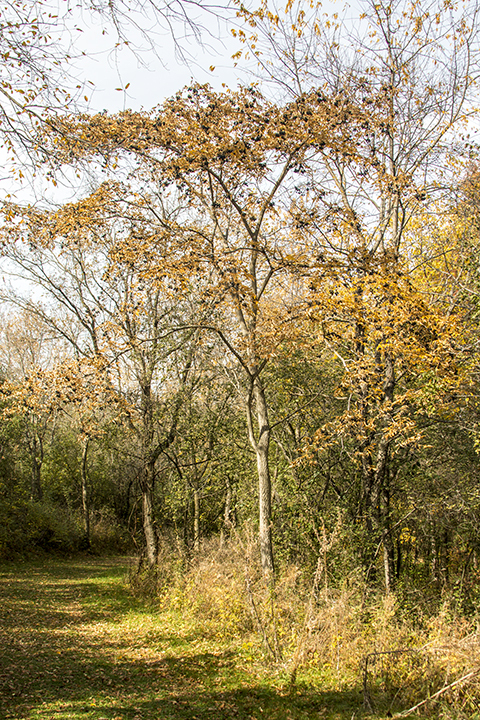 To date, it has been reported in just two locations in Minnesota: Lake Minnewashta County Park in Carver county, 9/28/2007; and Whitetail Woods Regional Park in Dakota County, 10/20/2015. The compound leaves could be mistaken for walnut or ash but on this tree the fruits are clusters of black berries. The most distinguishing feature of Amur corktree, and the feature which gives the tree its common name, is the yellow, spongy or corky, inner bark. The outer bark is also more or less corky, and is distinctive enough in appearance to cause a passing naturalist to stop and investigate this unusual species. This entry was posted in Plants and tagged Amur corktree, Phellodendron amurense on October 23, 2015 by John Valo.